The third hijacked plane was flown into the Pentagon building in northern Virginia, just outside Washington, DC, killing everyone on board and 125 people on the ground. The fourth plane, also heading towards Washington, crashed in a field near Shanksville, Pennsylvania, when passengers, aware of the other attacks, attempted to storm the cockpit and disarm the hijackers. Everyone on board was killed ([link]). 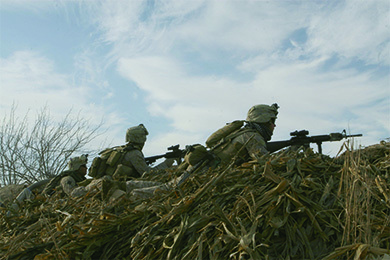 The Taliban refused to turn bin Laden over, and the United States began a bombing campaign in October, allying with the Afghan Northern Alliance, a coalition of tribal leaders opposed to the Taliban. U.S. air support was soon augmented by ground troops ([link]). By November 2001, the Taliban had been ousted from power in Afghanistan’s capital of Kabul, but bin Laden and his followers had already escaped across the Afghan border to mountain sanctuaries in northern Pakistan. Early in the conflict, these predictions seemed to be coming true. The march into Bagdad went fairly smoothly. Soon Americans back home were watching on television as U.S. soldiers and the Iraqi people worked together to topple statues of the deposed leader Hussein around the capital. The reality, however, was far more complex. While American deaths had been few, thousands of Iraqis had died, and the seeds of internal strife and resentment against the United States had been sown. The United States was not prepared for a long period of occupation; it was also not prepared for the inevitable problems of law and order, or for the violent sectarian conflicts that emerged. 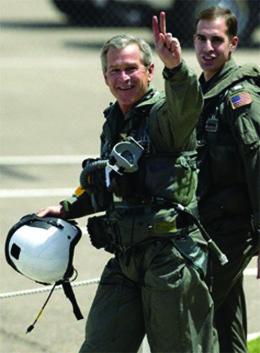 Thus, even though Bush proclaimed a U.S. victory in May 2003, on the deck of the USS Abraham Lincoln with the banner “Mission Accomplished” prominently displayed behind him, the celebration proved premature by more than seven years ([link]). The attacks of September 11 awakened many to the reality that the end of the Cold War did not mean an end to foreign violent threats. Some Americans grew wary of alleged possible enemies in their midst and hate crimes against Muslim Americans—and those thought to be Muslims—surged in the aftermath. Fearing that terrorists might strike within the nation’s borders again, and aware of the chronic lack of cooperation among different federal law enforcement agencies, Bush created the Office of Homeland Security in October 2001. 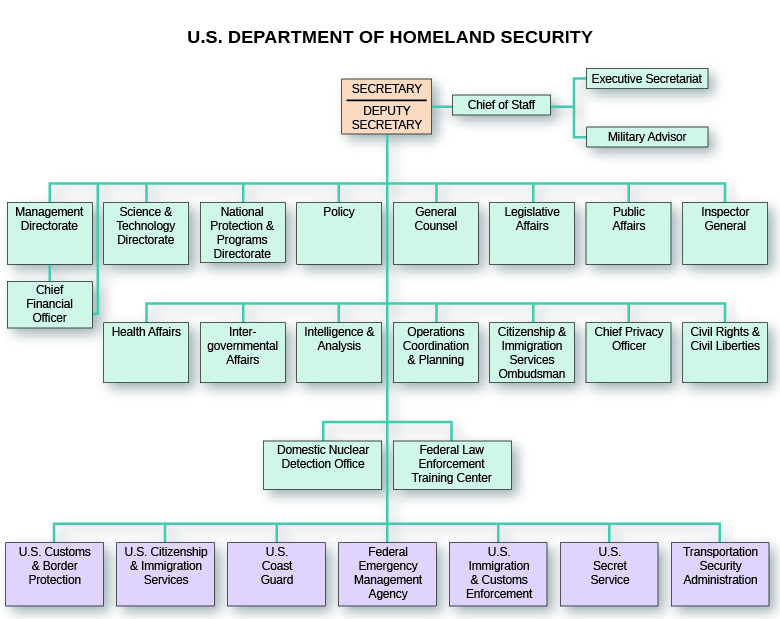 The next year, Congress passed the Homeland Security Act, creating the Department of Homeland Security, which centralized control over a number of different government functions in order to better control threats at home ([link]). 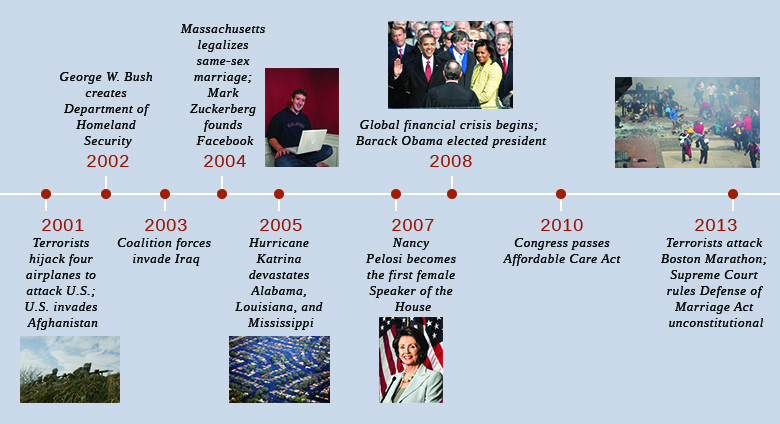 The Bush administration also pushed the USA Patriot Act through Congress, which enabled law enforcement agencies to monitor citizens’ e-mails and phone conversations without a warrant. The prison operated by the U.S. military for the detention and interrogation of terrorist suspects and “enemy combatants” is located at ________. Unwarranted wiretapping in the United States was conducted by ________. The War on Terror by OpenStaxCollege is licensed under a Creative Commons Attribution 4.0 International License, except where otherwise noted.